Sculpture made of crystal and iron mounted on an oak wooden base. The cast crystal is engraved, painted and sandblasted. The iron is casted and polished. direct sunlight. 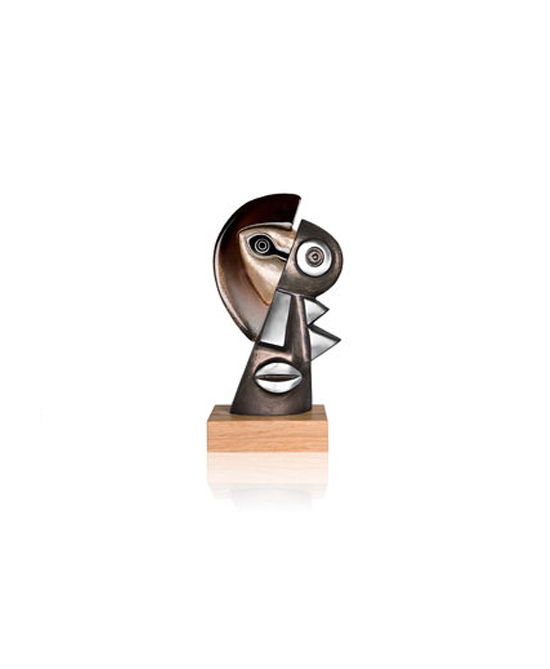 The sculpture is produced in a limited edition of 19 pcs.